You have to move out in a month’s time and you don’t know where to start. Take a deep breath and relax. Storage in Kuwait is here for help. First and foremost, don’t just start packing randomly; it will be highly troublesome when you start to unpack your belongings. Therefore, before you begin the packing, plan ahead. Accordingly, make a list of all your items that need to be stored. Assemble all the frequently-used items together. Also, make maximum use of the vertical space. This will help in accessing your goods easily when you finally put them in a storage unit or take it to your new home or office. Pack your items in old clothes and blankets, bubble wrap, newsprint and other storage containers for maximum safety. You can make use of boxes to store your tools and equipment. If possible disjoin your furniture so that you can place them better in the units. For instance, there are tables and chairs that come with removable legs. Additionally, put a blanket or bed sheet between the furnishings so that they do not get scratched or damaged. A good point to remember is to stack up all your belongings in the storage unit by putting the heavier items below the lighter items. There are things that you want to store, and there are things you want to take with you. Planning plays a major role when packing your things to take from one place to the other. As a result, ensure that you have all the right packaging supplies. 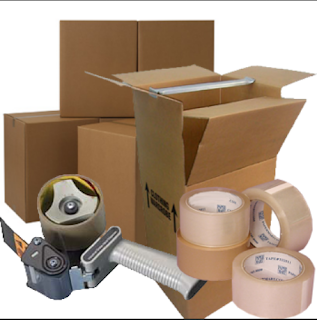 Cardboard boxes, tape, markers, labels, etc. Packing materials could include things like bubble wrap, newspapers, old blankets, corrugated containers, etc. 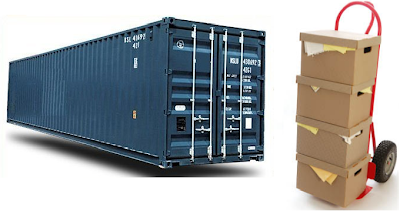 As a rule, remember to use big boxes for light items and small boxes for the heavier items. Besides, a box should not weigh more than you can lift. Label every box that you intend carrying. It will make things a lot easier and convenient for you. After all, it is not possible to remember what is stored in each box just by the look of it!